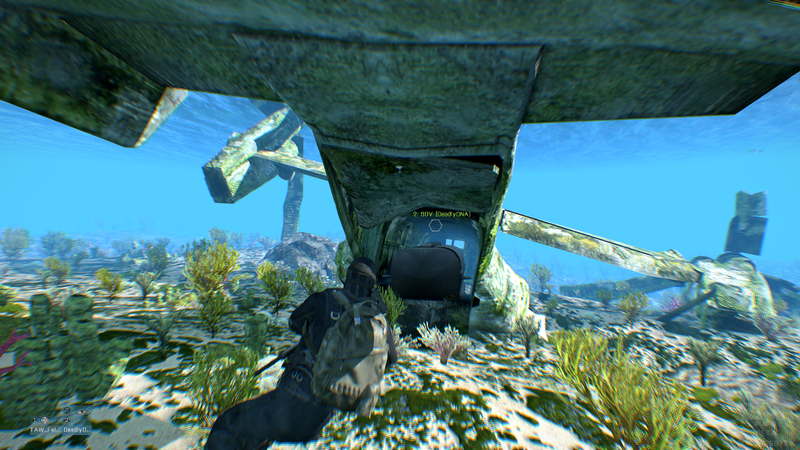 During Arma 3’s Beta phase, DeadlyDNA and I set off to explore the series’ newly offered place to wage war: underwater. It wasn’t long before we discovered a submerged V22 Osprey that had wrecked off the southern coast of the airfield, only visible by its damaged props sticking out of the water. Of course this isn’t a very feasible method if you want to start a mission. 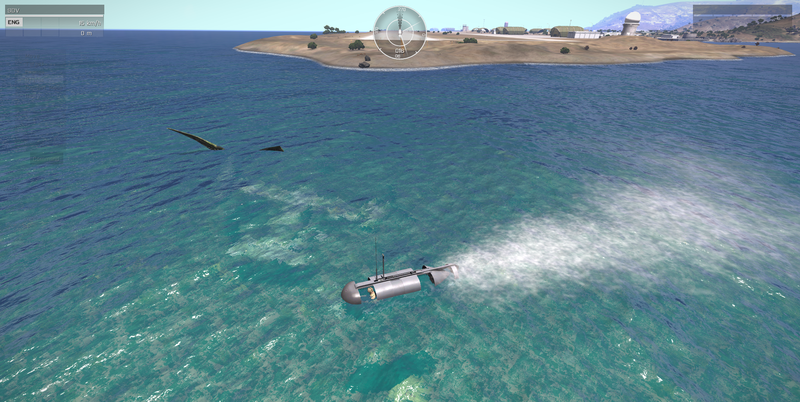 And we sincerely doubt the possibility of pre-staging an SDV inside the Osprey wreck using the editor, but that would be awesome. Perhaps now that we have Zeus or by using the community’s advanced editing tools this might be possible. More simply, an SDV could be staged ahead of time by a player assuming the role of Game Master. Alternatively, this would be a neat way to end a mission or have participants “hide” their SDV before beginning an amphibious assault on the nearby airfield. 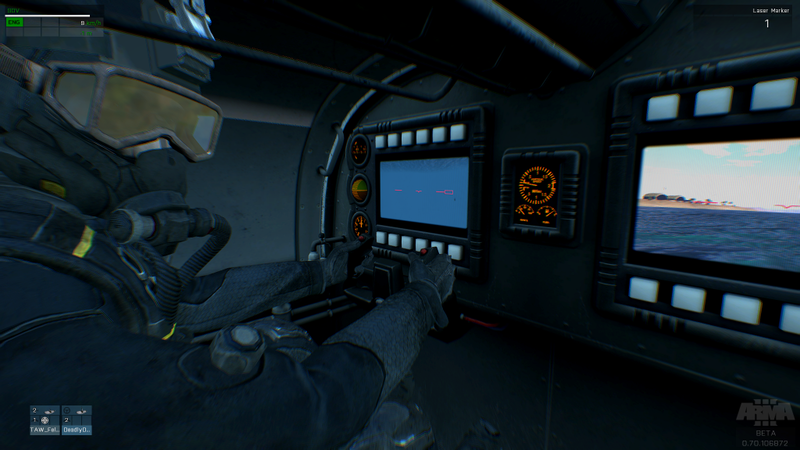 Give it a try and let us know how the experience goes in your mission. 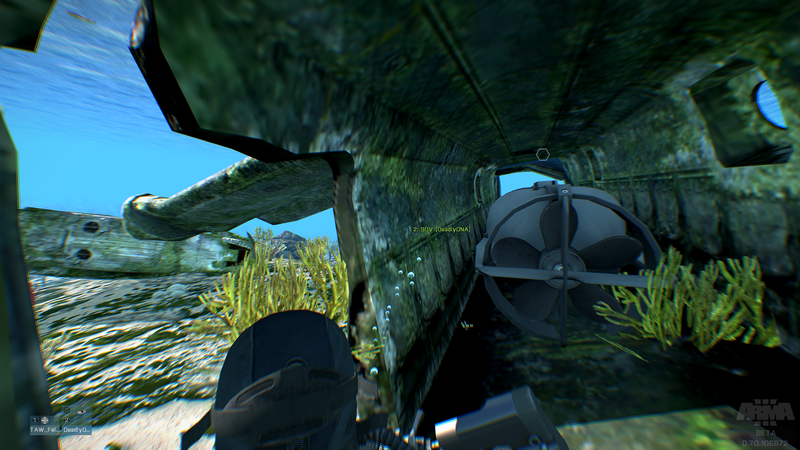 Here’s a glimpse of the SDV from outside and inside the Osprey wreck.